Where Did the Fajita Come From? The Beef Fajita was derived from the practice of giving ranch workers the less desirable cuts, that weren’t sold. 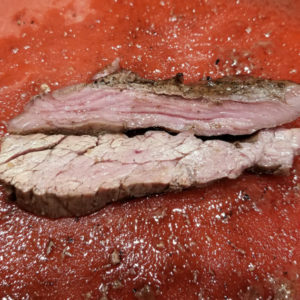 The original fajita muscle, the Outside skirt, is a thin layer of muscle, covered with heavy connective tissue, that separates the stomach and intestines from the heart and lungs. It’s more commonly known as the diaphragm. It was named from the Spanish word Faja, meaning belt. As the fajita phenomenon grew in popularity other similar cuts of meat were utilized to make Fajitas from. The Inside skirt is similar in texture and make up and is derived from the abdominal wall. 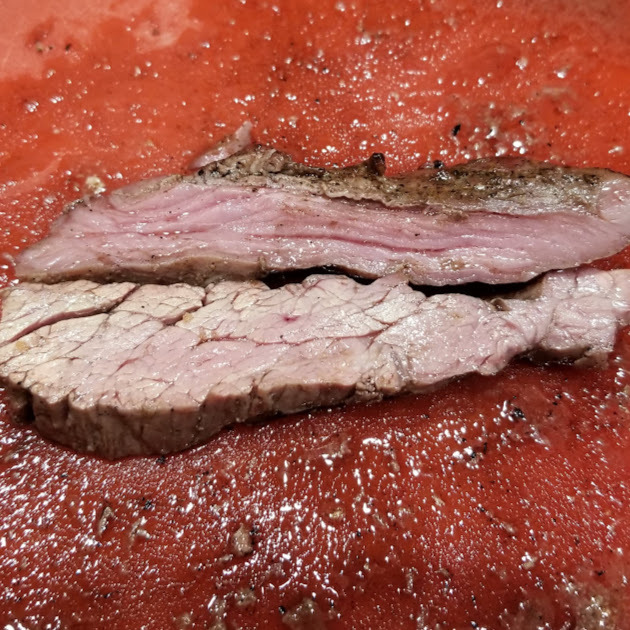 This cut produces a very similar eating experience as the Outside Skirt. The flank steak is another option. It has more densely packed muscle fibers and requires additional tenderizing to produce a similar product. In Texas, fajitas are a popular choice. They are great for tacos, salads or just on their own. There are plenty of recipe options but, it’s not just the recipe you use and how you cook them that determine the final eating experience. 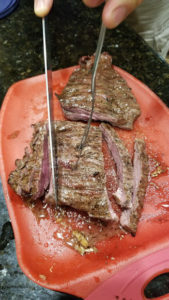 They must be cut correctly to create that perfectly tender and juicy bite! 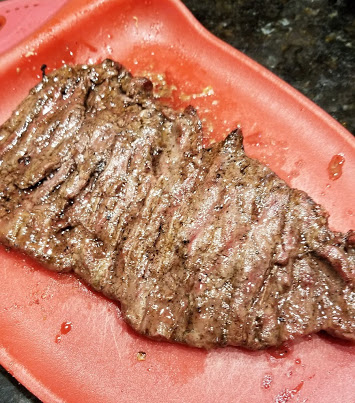 It’s natural to want to cut the fajita by slicing directly off the meat, once it’s pulled from the grill. 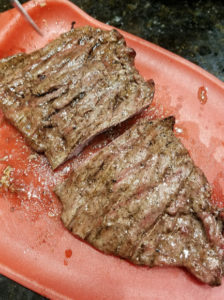 The problem is that when you bite into your taco, the whole slice of meat will come out because, it’s too tough to bite through! A simple rule you can use for cutting cooked meat is to always cut against the grain. What this means it to identify which way the muscle fibers are running and cut perpendicular to them. 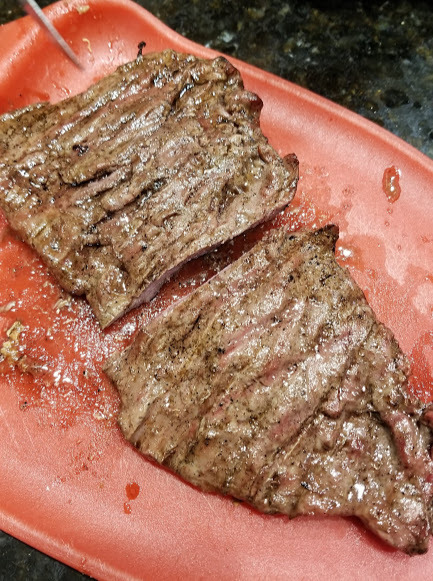 This allows for a more tender bite when eating the product. In the picture below, the top slice is cut with the grain (incorrect) the bottom slice is against the grain (correct). 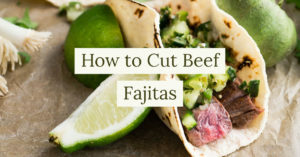 Follow these simple steps to get a better eating experience from your fajitas! 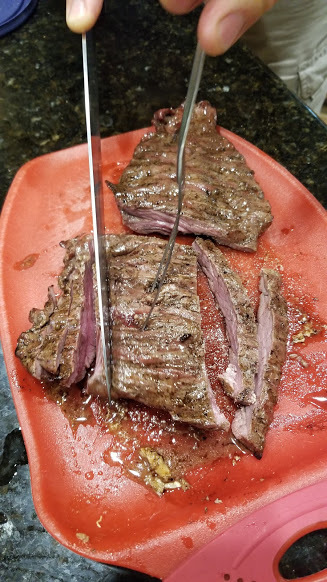 When the fajitas are finished, pull them from the grill and place in a covered dish for a couple minutes to let them settle. 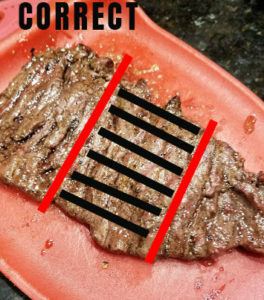 This is a good practice for any meat item that is grilled. Place the full skirt steak on the cutting board and identify which way the muscle fibers are running. 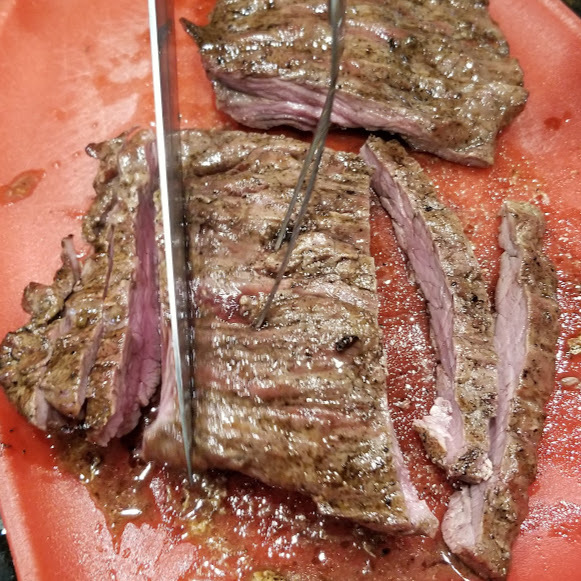 Cut the skirt steak into 4” portions parallel to the muscle fibers. 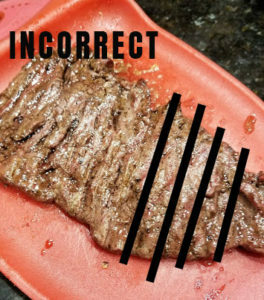 Take a portion and rotate it to make ½” cuts perpendicular to the muscle fibers. This will produce the slices perfect for eating!